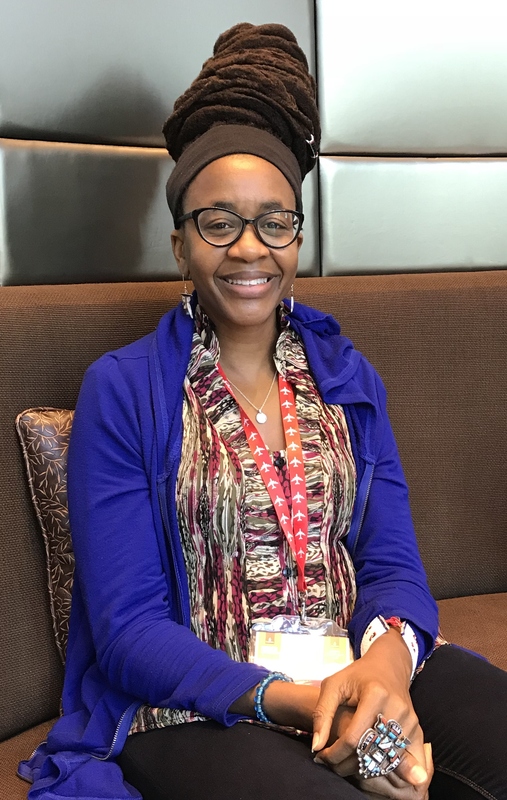 Blazing a trail for imaginative, Africa-based writing is Nnedi Okorafor. With more than 15 novels and novellas already published, including the Binti trilogy, the Akata series, and Who Fears Death, soon to be adapted for HBO by George R. R. Martin, Okorafor has also been branching out into the world of comics. Her most recent foray into this universe saw her writing the Black Panther series, Long Live the King. Okorafor’s USP is her vision of future Africa, one that is written about and viewed through an objective lens, not through the perspective of a white saviour. It is this vision that has made her popular with readers and critics alike. She has won numerous science-fiction awards around the world and has fast become a sought-after writer, contributing to comic and science-fiction anthologies for DC and Star Wars. However, Okorafor still hungers for more. When I met her at the Emirates Airline Festival of Literature in Dubai, she told me about her numerous upcoming projects, the veil of subjectivity she is trying to pierce with her African speculative fiction, and whether we are poised for a change in perspective in the entertainment industry. You are currently working on the Black Panther comic series, Long Live the King. Could you tell us about the experience of writing such a popular character? Yeah, that was a different process. Being a novelist who is used to ruling her world and creating her world and now, here I am, writing Black Panther. As a novelist who is used to doing her own thing, and continues to do her own thing–because Black Panther isn’t the only thing I’m working on, I’m working on many different things–I think it was a good exercise for me to have to get myself in control and write within this, but yet still find a way to put my own fingerprint on it, and I did do that. Marvel’s Black Panther film has been getting rave reviews. Do you think the popularity of this film will change the kind of stories we see on the big screen, as well as in novels? Oh, definitely. I’m a very a critical film-watcher. I can list all the issues I had with the Black Panther movie; I had several. I loved it, but it’s not perfect. But, that said, there are things that the Black Panther film was doing that have never been done in film before. Never. And, I think that those very things that are the reason why people love it so much are what is going to cause a shift. 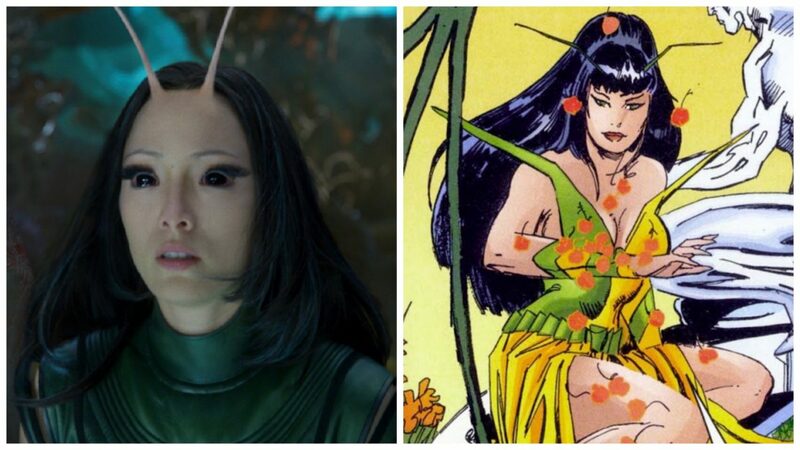 That shift was coming even before the Black Panther film. The Black Panther film is going to be like a catalyst, like, if you throw gasoline on something, the Black Panther film is the match. So, the gasoline was there, and then the match came and foom, it’s all going to shift. I know that things don’t happen suddenly and instantly, but I think that we will now see a really good shift. You’ve worked on a new Marvel Venom comic. How did it come about? Venom is the alien symbiotic organism known in relation to Spider-Man but, [in this comic, there were] other known established Marvel characters, so I was to write a short for that. That was actually the first thing I did for Marvel. When I went to write, they initially wanted me to Venom-ise Black Panther and I was like, “Umm, yeah, I like that idea, but what about this one?” So, instead of having an established Marvel character Venom-ised, I had this normal average everyday girl in Lagos, Nigeria who happens to be in the wrong place, at the wrong time, when Black Panther is fighting this villain over the Venom canister and she ends up getting Venom-ised. That’s my Ngozi character. This is kind of confusing; I tend to do things in a confusing way. 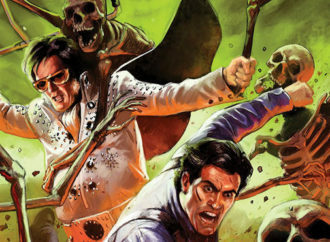 Long Live the King is six-issues, and I have my own storyline in the first, the second, the fifth and the sixth [comics]. The third and the fourth were written by another writer, but it’s all connected. 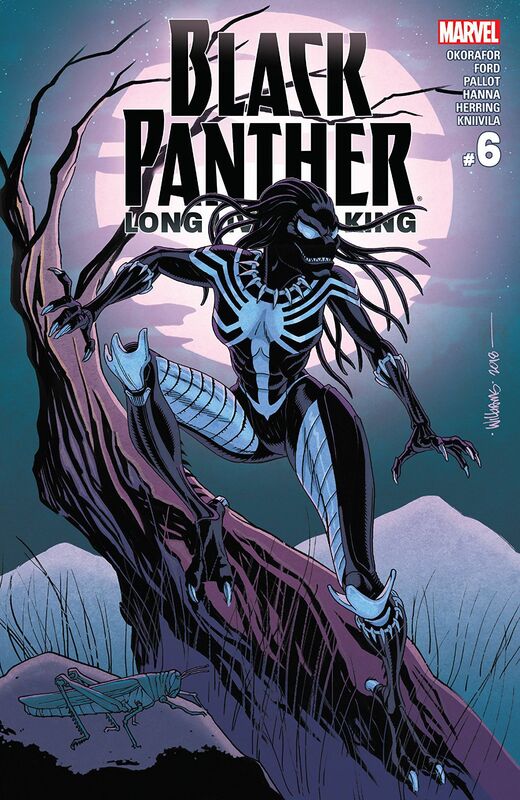 The first, the second, and the fifth are the Black Panther storyline, and the sixth is a one-shot issue which features a character that I created from another anthology called Venomverse: War Stories. In that anthology, typically you had well-established Marvel characters that were Venom-ised. When we were talking about Long Live the King, I think it was my editor who was like, yeah, maybe you can make the fourth issue a one-shot–which is a complete story, it has a beginning, middle and an end–bring back your Ngozi character.” So, that’s what that sixth issue is. You have also written a short story for Star Wars: From a Certain Point of View. Could you tell us more about the anthology series, and how that experience was different from working with Marvel? From a Certain Point of View was for the 40th anniversary of Star Wars, and they wanted short stories from 40 writers that dealt with side-characters specifically from A New Hope. 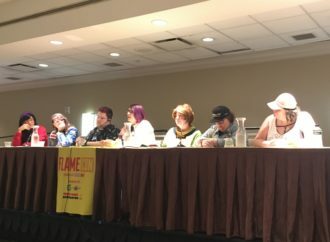 At first, they had given me some ideas for characters to write about and they were like, oh yeah, what about this character and that character, and they were all human and they were all women, which makes sense. But I was like, naaaahhh, I want to do a creature. So, it was my idea to do the trash compactor monster in A New Hope that, when they land in the garbage, attacks Luke. I had always wondered about that creature, like how did it get in there? Why is it even in there? What was it doing? Was it having a good life in there? It’s living in garbage, that’s horrible! I’m a huge Star Wars fan. One of the things I love about Star Wars is the weird little side-characters that nobody cares about. I’ve always wondered, what are they doing? I love that and so I wrote this narrative about the trash compactor monster that really turned out to be so much more than I thought it would be. And, it was just, when I sat down to write it, it came really fast. The difference between writing this character versus writing Black Panther was that I had a lot more space–pun intended. I had a lot more space, literally and figuratively. It didn’t feel as confining; I could do what I wanted to do. Because, no one had ever thought about the garbage monster, so yeah, I could do that. I didn’t feel the same confining that I felt with writing Black Panther. Science fiction based in Africa is the overriding theme in your writing. How did you become interested in this genre? When I first started writing, it was more fantastical or mystical, because that was my worldview, so it naturally manifested itself in that way. Eventually, I kind of jumped the rails and just started writing straight fantasy because it had always appealed to me. The science-fiction came later, and it wasn’t from reading science-fiction, because reading science-fiction really didn’t appeal to me that much. It was very white, and it was very male and cold. I was born and raised in the United States, but my parents were taking my siblings and me back to Nigeria from a very young age. So, I grew up going back and forth, and as I got older, I started noticing the interplay of technology in Nigeria and how it was different from the US. At one point, especially when I started writing, I was like, well, no one else is writing this. I’d love to see this portrayal of Nigeria, of Africa as a whole, in science-fiction. So, that kind of led me to start writing it myself, because I felt like I had this different perspective on things and a different way of seeing. That was really the beginning, that was the rabbit hole, and I kind of jumped. In terms of influences, those came later. For example, I discovered Octavia Butler, I think it was in 2001, and by then I’d already written five novels, and my first novel was actually the fourth novel that I’d written, so I was pretty established in what I was doing. And then, probably around that same year, I discovered Nalo Hopkinson and those two writers were really influential to me, not so much in showing me how to write this, but more in understanding that this can be done, that this is possible. Those two were probably the most pivotal. What kind of challenges have you faced writing African speculative fiction, which is still considered a new genre? I guess you could say it is relatively new, especially in the way it’s packaged as African science-fiction, so that’s relatively new. I think the difficulties were in the way that readers read me. Like, having them understand, and I’m speaking generally right now, having them understand what I was writing without putting it through the context of Western science-fiction. Looking at what I’m doing and not thinking, oh, this is like this Western writer, because I wasn’t coming from that tradition, at all. So, oftentimes, and it was frustrating for me, I would be read in a way where they were seeing me through the wrong lens. And that still happens, you know, where I’m like, you’re not even seeing what I’m doing, you’re not understanding what I’m doing because you’re only programmed to understand something and process something through this very narrow point of view. I think that’s the biggest frustration. And, because of that, I knew that I had to write my stories in a certain way. Because wasn’t writing an anthropology book, I didn’t want to explain [everything], if I’m writing about this part of the world, it’s in that part of the world, I’m going to throw you in that part of the world and I’m not going to write it like I’m writing this for foreigners. So, that was something I knew. But at the same time, I knew I had to do some kind of maneuvering where things were clear to those readers who were foreign, without writing to them. So, it’s tricky. Speculative fiction centred on non-white people is still considered rare. What advice would you give to young writers, especially those of colour, interested in exploring the genre? Ah! To people of colour writing speculative fiction, I say, tell your story, and don’t tell it in any other way, but the way that you want to tell it. Don’t think that you have to make it digestible for a Western or white audience. Don’t think that at all. Write it the way that you want to write it. Not once did I think I had to tell my stories in that way for others to understand because stories are universal. If it’s a good story, any peoples, no matter who they are, will enjoy it. I strongly believe that. I grew up reading very white stories, and I enjoyed them. 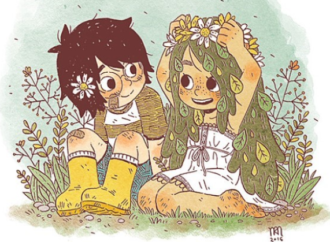 In a lot of ways, some of the stories that I was reading that I really loved, they had no black characters in it, they had no characters of colour at all in it, but I was still able to connect with those characters. And I think that can be said for the other way around, as well. Stories are universal, a good story is a good story. Tell your story and tell it the way you want to tell it. You have written novels and comic books. Did you find the change in process challenging in any way? Yeah, I wouldn’t say challenging, but definitely different because comics are a very collaborative process. Whereas novels and stories are not. That is you doing your own thing. It’s a different kind of difficulty. You know, there are things that are difficult about writing novels or short stories, and there are things that are more difficult about writing comics. The first comic I wrote was a short for a DC anthology, so I had some experience with it. 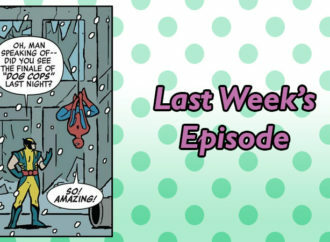 But, like, definitely writing these comics for Marvel, I learned a lot. Because, there I had a lot less time, the deadlines were like boom-boom-boom. I had to do things faster and my process for writing comics is pretty elaborate! First, I have to write the summary and then I have to write it by hand, because it’s a visual medium, so I write the whole thing by hand. Sometimes, I sketch out the scene and then I take that and translate it into words. And then, I edit that. I had to really learn how to streamline my process when I was working with Marvel. Then, you have the back and forth with the illustrators and the editors and all of that and getting things consistent with the world and consulting things. It was cool. I enjoyed it. It was tough but, I really enjoyed it. A thousand things! I have a secret project that I can’t announce that I’m working on. Gosh, I can’t wait till I can because I just feel like I’m lying to everybody by not saying [anything]. 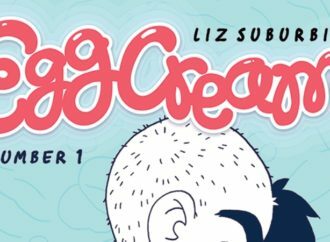 And then, there’s another secret project, another secret book that I haven’t announced yet. I think they’re waiting for something, it’s almost finished, so there’s that other secret project. 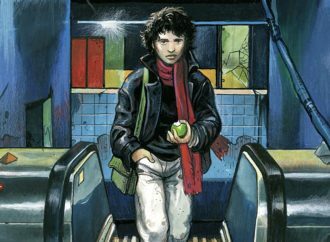 The graphic novel, LaGuardia that I’m working on is being published by Dark Horse. Then, there’s the HBO Who Fears Death TV series that we’re working on, and I’m very much part of it so, it’s one of my projects that I’m working on. And there’s another secret project. [Laughs.] I have like four secret projects, seriously, they’re like actively working on them! Then there’s also the five-issue comic book, Antar: The Black Knight. The first issue comes out in April. That’s a big one. And then I’ve got my novel Remote Control, which is in the editing process. That’s my next novel; that one’s relatively done, but there’s probably one more big edit that I have to do. Those are all the ones I can think of, but I know there are more! Yeah, I’m like juggling a million things right now, but it’s good. 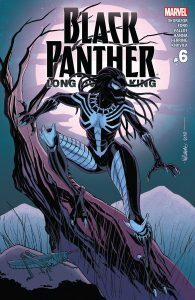 Black Panther: Long Live the King issues #1-#6 are on out now. The trade graphic novel will be available from June 5, 2018. 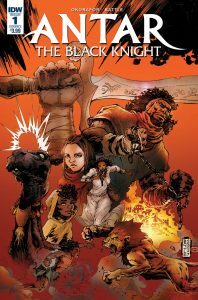 The first issue of Antar: The Black Knight is available now.